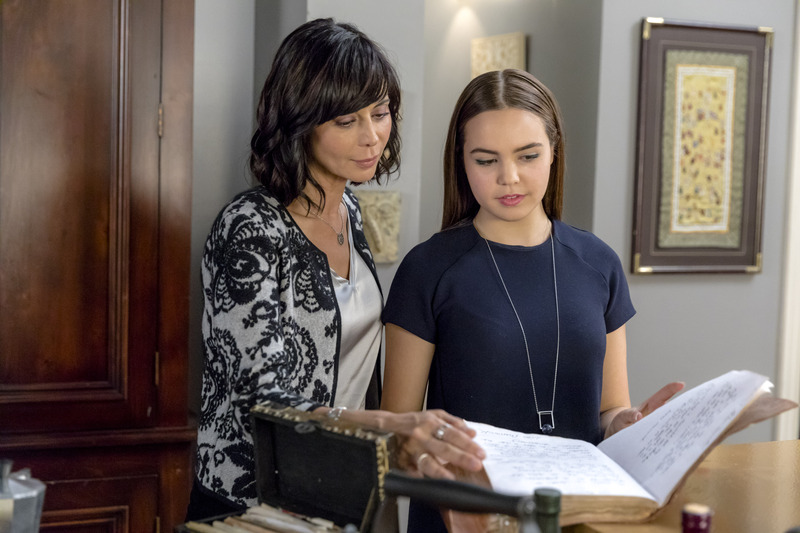 Currently in its third season, the Hallmark Channel original series Good Witch has become a solid hit for the network as well as putting its stamp on social media interactions with its rabid fanbase. At the age of 17, series star Bailee Madison has become a veteran in the business and has already achieved a level of success that most hope to attain. She is an actor, producer and recently added author to her list of achievements. On the small screen, her other credits include Once Upon a Time, Trophy Wife, The Fosters, Wizards of Waverly Place and Law & Order: SVU. On the big screen, she’s appeared in the films Don’t Be Afraid of the Dark, Parental Guidance, Just Go With It and Brothers. We sit down with the multi-talented actress to talk about her character Grace and the latest season of Good Witch, her upcoming novel Losing Brave, what it’s like to produce a project and her thoughts on being a role model. Pop Culture Principle – Now in your third season of Good Witch, how have you enjoyed your character’s journey so far in the series? Bailee Madison – The journey has been really exciting, particularly this season as an actor. I am just a lover of my character and it’s been really fun for me to explore this new world for Grace. This world is really the center part of her change and what comes with it. We talked about it throughout the last two seasons, but this season we really get to unfold what it’s like to second guess yourself or to see if a guy likes you or to get turned down and to actually have a guy that likes you and you like him back and to learn how to be a good daughter and a good friend. The journey of Grace has almost been the journey of me as well and it’s been fun to get to relate my character to myself. Pop Culture Principle – In Season 2 we see Grace start to really come into her own and figure out who she is. Will that continue in Season 3? Bailee Madison – Absolutely. I think it continues for her probably throughout the length of our show and I hope we have a long way to go to create these episodes and I hope we are around for many seasons. I think that it is something that comes along with being a teenager you are constantly growing and constantly evolving and that goes for adults as well. I was talking with my sister, who has two beautiful girls, and we were saying how every day we are constantly taking a step forward to be a better version of ourselves. I think the show is always encouraging, no matter what age you are or whether it’s a new guest in Middleton who is coming in for two episodes, it’s about them evolving as a person and growing. So, I definitely don’t think that’s going to stop anytime soon. Pop Culture Principle – Fans really would love to see Grace have a love interest. It seems in Season 3 that they are really starting to tease a love interest possibly with Nick. What can you tell us about that friendship/relationship? Bailee Madison – Nick and Grace are just very complicated. They are those two best friends that you either know them or you are one of them. They are teenagers who started off kind of not on the best terms and they’ve grown to become fond of each other and support each other and want to see the other person succeed and with that comes confusing feelings. Sometimes you might think you like someone and sometimes it’s just that you are cool with the fact that you love their company just as a friend and we get to explore that more this season. I think some complications that come with this is obviously my mom and his dad who really like each other and are taking the next steps into dating, so that’s a tricky part for Nick and Grace. Now that he has a girlfriend and Grace is the single one, there is a lot that is going to unfold because of that. Pop Culture Principle – Do you feel the writers have done a great job pacing any love interest for Grace by letting her first love herself and who she is before getting involved with anyone? 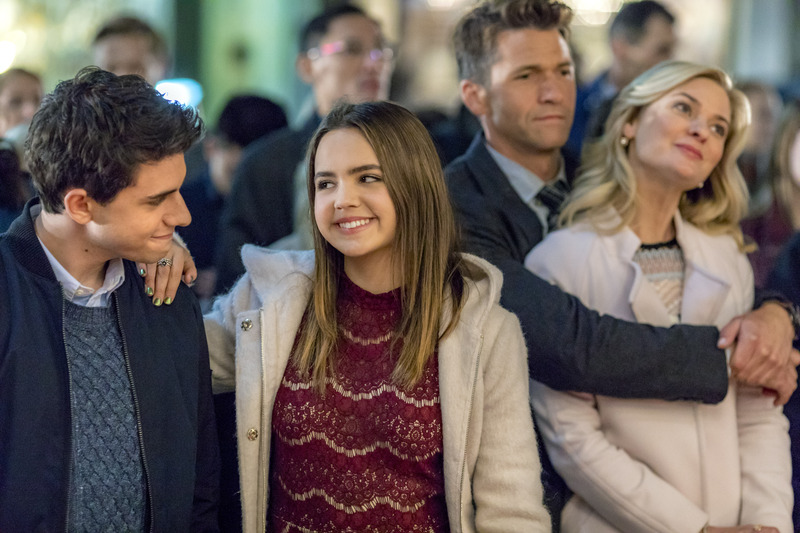 Bailee Madison – I do and I think that is something that our writers have done well and I think that’s something that the Hallmark Channel does well too. They are very focused on taking care of the characters before the characters can take care of anyone else. I think that is something that you can learn outside of a television series as well. You have to respect yourself, you have to set boundaries for yourself, you have to know what things make you happy and comfortable and you just have to love yourself first. The first two seasons of Good Witch were really Grace’s chance to explore who she is and the gifts she’s inherited from her mother and the joys of being a sister and having to go behind the wheel and being so stressed out to drive with her mom. Those are the things she’s had to go through before even thinking about going on a date. Even though she is thinking about it now, she is still learning all those things about herself at the same time and just loving yourself first never goes away anytime soon. Pop Culture Principle – Do you think Grace feels a little pressure with the gifts she’s received from her mother and having the Nightengale last name? Bailee Madison – You know, we explored that in the last Halloween special. I think she was thinking about that a lot of weight comes with that name and she didn’t want it because of how it could be interpreted by some people, but she shook it off and realized that she was very grateful to have that kind of pressure upon herself. I don’t think she takes it lightly. I think if anything, she is so grateful to have it, but she’s more concerned that she doesn’t know how to use it like her mother does and I think that is where the pressure comes from. She doubts if she is using it for good sometimes and she wonders if she is being selfish with the things that she does. And then she has the influence of Abigail who kind of encourages that selfishness with taking care of yourself first with these gifts. So, I think it’s more of her learning how to use them while still being grateful for them rather than her wishing that she didn’t have them. Pop Culture Principle – As an actor, how does it feel being part of a show and on a network that conveys strong, family values? Bailee Madison – It’s very important to me and my family which goes directly to why I’ve been so fortunate to get to be a part of the Hallmark Channel family throughout these years. It’s a chance for me as an actor to continue with a craft and an art that I love and to bring characters to life and to walk on a set and do all of that. It’s also great to know that every week I don’t have to worry about the script or worry about the lines that I am going to have to say or worry about if they are going to ask me to do something that I am going to have to say no to because their values are very much the same that me and my family have and it’s a joy to get to work with a company and a network who understands and respects that and I am definitely very appreciative. Pop Culture Principle – What can fans look forward to with the rest of Season 3 of Good Witch? Bailee Madison – Fans can definitely expect a lot of magic, especially in this season. They can also expect some trickiness that comes in, especially with Grace. There is a chance that she actually might mess up someone else’s chance of something good because she wants it herself so badly. Also, a new boy does come into town and he shakes things up not only for Grace but for Nick as well. Pop Culture Principle – You’ve also co-written a book called Losing Brave. What can you tell us about the genesis of that project and what the book is about? 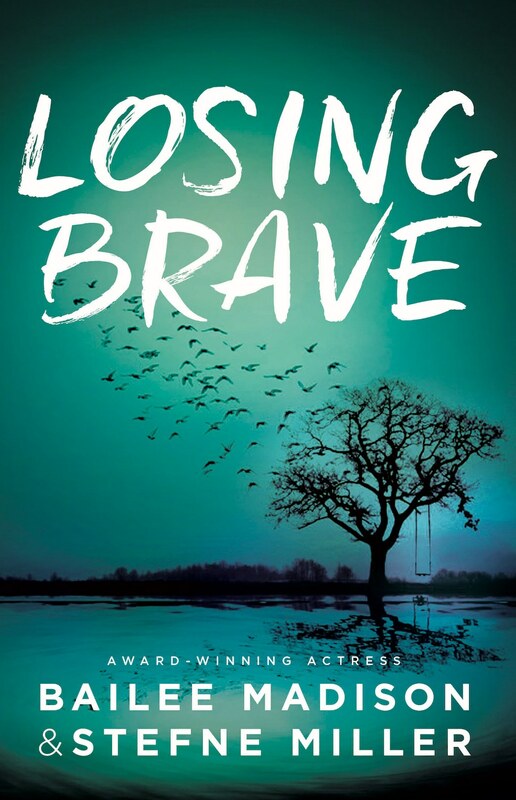 Bailee Madison – The book is called Losing Brave and I co-wrote it with a friend of mine who is also is a wonderful author that I happen to be a big fan of. It centers on a girl named Hayden whose sister has disappeared from her senior year in school. The book picks up a year later in her life and how other people have kind of moved on. I think a lot of the times we focus on the time a person leaves and we don't really follow them afterward and how they deal and grieve. So now it's dealing with her wondering where her sister is and trying to recall memories of what happened that day and wondering what memories are false and what memories are real. Along that way starts to share parts of who she is and figuring out who she wants to be and who society wants her to be. She realizes that it's up to her to try and find where her sister is. The book is a psychological thriller that teens can read and the families don't have to worry about the content in the book and the teens can have a safe space to read it. 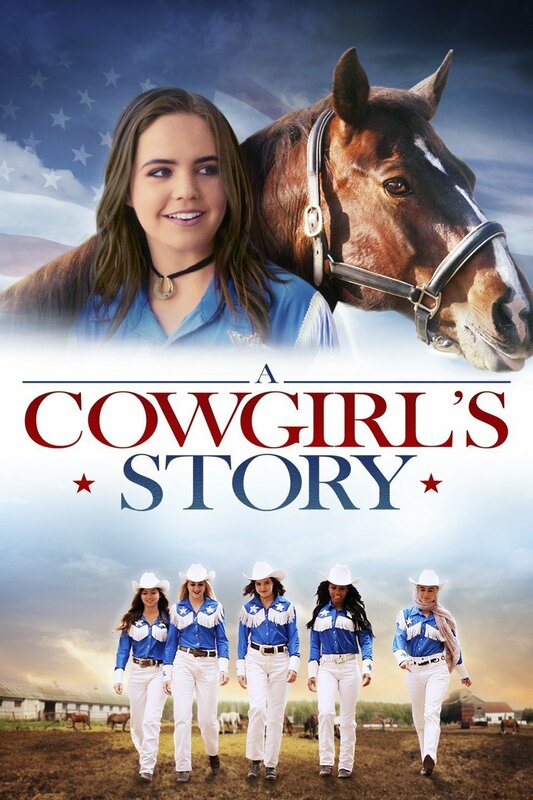 Pop Culture Principle – You've also produced two projects with your latest being A Cowgirl's Story. Did you enjoy the challenge of not only being the lead in the film but also wearing the producer hat at the same time? Bailee Madison – I absolutely loved it! It was one of the most gratifying experience because as a producer, you are working for the sake of not just yourself, but for the rest of the crew. So, Kraft services, grips, the lighting department, animal trainers and the cast are all following your hands to try and make the set to be as smooth and enjoyable as possible. For me to be trusted with fellow producers and a wonderful director who has been doing this for such a long time, it was a very humbling and wonderful experience and I hope to continue to do more producing in the future. Pop Culture Principle – You have literally grown up before our eyes in television and film and are looked up to as a role model by your fans. Do you feel any pressure to live up to the role model image or do you embrace it? Bailee Madison – I very much embrace it and I am very grateful. I think growing up with older siblings, I understand what it’s like to look up to someone and I try and emulate what my sister does and the beautiful parts of her. I feel so honored and so grateful that someone, somewhere looks up to what I am trying to do, what I’ve said or what I have posted on Instagram. I don’t think it’s so much pressure as it is just me trying to be as transparent, open and honest as possible. I’m not one to stand up and say that I have it all together and that I won’t make mistakes because growing up, that’s impossible. We are all humans and there is going to be something one day where you wish you didn’t do that, but that comes with learning and I just happen to be learning under a microscope where a lot of people are watching. So, I don’t take it lightly and I am definitely very grateful for it and I hope I don’t ever let anyone down. Pop Culture Principle – Do you see yourself not only continuing to produce more projects and maybe get into writing and directing? Bailee Madison – I think doing a project where I star in, write and direct would be so amazing. I have always been so in love and enthralled with the behind the scenes work. Producing is something that I'm looking forward to continuing right now even if it's just being behind the camera and work as a part of the crew. That is something I would love to do and currently searching for right now. But, directing is a specific goal and I look forward to being with the actors and sitting down with them and creating a character with them and creating moments with them would be amazing. Writing is also something that I am working on right now with a couple of things that I have just finished writing. I don’t know where they will end up, but I’m keeping my fingers crossed because there is so much more to explore in this industry and I am so grateful to be a part of it. I’m just going to keep grinding, keep falling down and standing back up and starting again. I absolutely love what I do! Pop Culture Principle – You are very active on social media. How important has social media been to your brand but your work in film and television? Bailee Madison – I was just having this conversation with someone about four hours ago. It’s crazy because I think I’ve literally grown up as social media has grown up. I’ve been doing this since I was four years old and there wasn’t really a Twitter or Instagram when I was starting out. I remember creating my Twitter account when I was nine years old and tweeting about a movie I had coming out. I’ve really been able to watch social media take over and create a brand in and of itself. Social media has been so helpful for me to get to connect with those audiences that turn on their televisions and sit with their family and watch Good Witch or go out and pre-order my book or go to Barnes & Noble and search for a book that I think is good. Those are the really special moments where I feel so grounded and connected with them. In terms of a brand, I think it’s been very helpful for me to get to be able to stand up and talk about things that I believe in or talk about things that maybe hurt me and talk about why it might hurt others if it happens that way and be able to use the platform that I’ve been given through the industry and that we’ve all been given through social media to get to say hi, this is me and if you feel like reading this please do and maybe we can relate to each other and help each other out. So, that has been a very crucial part of who I am and the way that I have been hopefully able to connect with others. Pop Culture Principle – What advice would you give someone who is thinking about entering this business? Bailee Madison – This is a tough business and it always will be. My advice would be the same advice my mom gave to me and probably the same advice that I been fortunate to have from wonderful creators in this business and that advice is just be kind. Be kind to everyone that you meet. Say hello to every person that you pass, open the door for crew members, arrive to set on time and go get your own water. The little things that you can do to ground you and remind you. I think you should surround yourself with good people. I have a very, very close and tight knit circle of my family, my friends and the wonderful team that I have around me. I keep that circle very tight and close and I am very grateful for it. I know that whatever I say to my friend up the street stays with my friend up the street and she expects the same thing. I think it’s knowing that you don’t have to be friends with everybody, you don’t have to go to every party you are invited to and you don’t have to walk every red carpet. Just believe in who you are and love what you do and know that God has a much bigger and better plan than you could ever imagine. We would like to thank the wonderful Bailee Madison for taking time out of her incredibly busy schedule to talk with us. You can catch new episodes of Good Witch every Sunday night at 9/8c only on the Hallmark Channel. Bailee's upcoming book, Losing Brave will be released on January 30, 2018, but you can pre-order the book here. If you would like to keep up with all of Bailee's latest news and projects, you can follow her on Twitter and Instagram @BaileeMadison.